We are delighted to present Imaginary Worlds – a fantastic exhibition of artworks by 52 illustration and book artists from Wales, other parts of the UK, Europe and Australia. 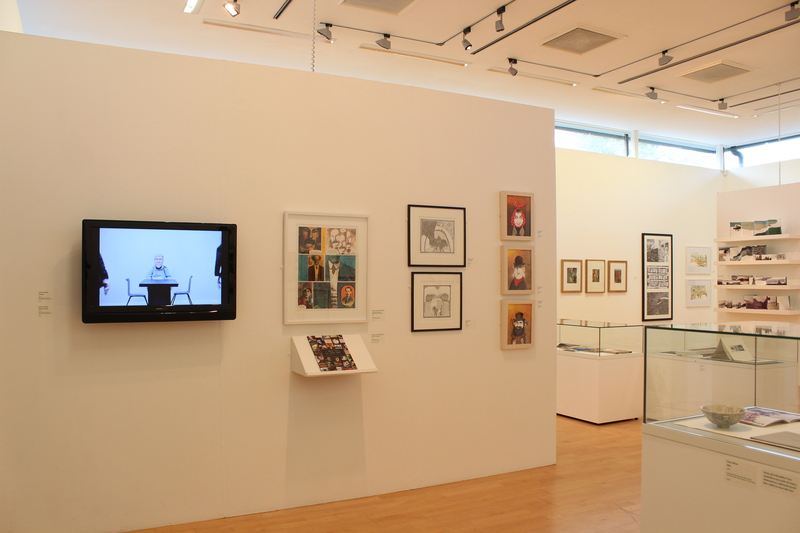 The exhibition includes illustration for children’s and adult’s books, artists’ books and graphic novels, video animations, large and small-scale drawings, print and painting. Here we encounter fables and folk law; tall tales of all kinds, including the unexpected; the light-hearted and playful: the dark and mysterious. These artists open doors to other worlds and other lives. They present people, places and creatures; invented and real; from the future and the past, and the here and now. Together, they offer a great celebration of the extraordinary power of the imagination.